Food allergy is an abnormal response to a food, triggered by your body’s immune system. Allergic reactions to food can sometimes cause serious illness and death. 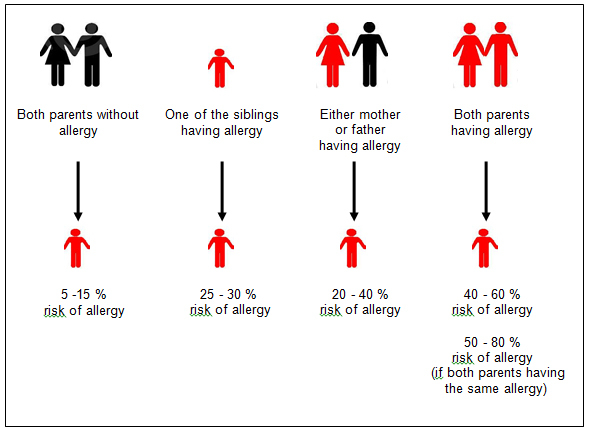 What are the factors that can cause food allergy in a child? According to a research done by Hill D.J. et al (1997), most of the children that aged below 1 year in Asia are allergic to cow’s milk, soy or egg followed by fish and seafood. What are the signs and symptoms that someone is suffering from food allergies? Allergic reactions to foods usually involve three main systems. i.e : digestive system, skin and respiratory system. Usually, allergic reactions to food are mild but some individuals may experience severe reactions resulting in death. Anaphylaxis is a severe reaction associated with difficulty of breathing, swelling of the mouth and throat, decreased blood pressure and can lead to shock and even death. Breastfeed exclusively at least for the first 6 months to protect the baby. Continue breastfeeding until 24 months or more. Formulated infant formula is suitable if there are no history of food allergy among parents and siblings. For children whom had a history of food allergy among parents and siblings, introduce partially hydrolysed formula milk labeled “HA” or “hypo-allergenic”. Note: – partially hydrolysed formula milk is not suitable for children who have been diagnosed with allergies to cow’s milk. Soy milk and milk of other mammals such as goat’s milk or camel’s milk is not recommended for the prevention of food allergy. The introduction of solid foods to infants should be started at the age of 6 months. When your baby is ready, introduce new foods one at a time for 2 to 3 days. In the event of an allergic reaction, avoid these foods. You may reintroduce it later in life as some individuals may outgrow allergies. Note: – Based on SH Sicherer & Burks A.W. (2008) delaying solid foods to infants may reduce the risk of allergies, but no sufficient evidence to for avoidance of allergenic foods such as eggs, beans, legumes and fish can prevent allergies. The best way to treat food allergy is to avoid the foods that trigger your allergy. For cases that have been diagnosed with food allergy, avoidance of allergy triggering foods is the most effective measure. For children who are extremely sensitive, this may involve the total avoidance of any exposure with the allergen, including touching or inhaling the problematic food as well as touching any surfaces that may have come into contact with it. Consult doctor or dietitian if necessary. Always ask about ingredients when eating at restaurants or when you are eating foods prepared by family or friends or at functions. 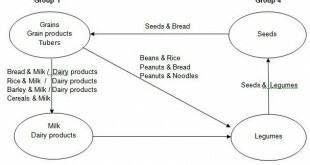 Carefully read food labels to identify food allergens. Know the signs and symptoms of food allergies and the early management of persistent allergic reactions. In some children, the restriction of certain foods can cause malnutrition and growth failure. Consult your doctor regarding medications such as epinephrine, antihistamines or steroids. If needed, carry and know how to use injectable-epinephrine and anti-histamines to treat emergency reactions. Teach family members and other people close to you on how to use epinephrine, and wear an ID bracelet that describes your allergy. Always seek medical treatment for better care.